BOSTON—For a long while there was a race among brewers to see what kind of strange or oddball ingredient could be used in a beer while still having it taste good. Taking existing styles—ones that have endured for centuries or less—brewers in the United States got to adding all manner of things from spices to grilled meats, to exotic coffees and chocolates. Shellfish, teas, fruits and vegetables of every kind and origin all received their turn. Some beers were better than others, most were released in limited quantities, as a seasonal, a special one off while a few joined the regular rotation of the brewery’s offerings. There is a fun spirit behind these beers, and taking familiar food flavors and putting them into beer form no doubt brought new customers to the brewer’s doors but also helped the drinkers discover other flavors and styles. While this is a trend that continues, there have been subtle changes recently in the beer industry that suggest that brewers are looking at ways to return to basics, focusing on the original, trusted and proven base recipes for beers that have stood the test of time and won. This was evident recently as I gathered with other journalists in the beer industry to judge the finals of the Longshot Homebrew Contest at Samuel Adam’s Brewery in Boston’s Jamaica Plain neighborhood. This was my fifth year judging the finals and over the years the panel has seen quite a lot of diversity, inventive recipes, including some where it felt like the brewer was just throwing the kitchen sink of ingredients into the mash. In some cases it worked, in others—not so much. This judging experience has been, for me, a chance to take the pulse of what is happening with homebrewers, the passionate lot largely and deservingly credited with helping revive the American beer culture. As a group seeking better beer and choosing to make it when they couldn’t dine commercial offerings to suit their palate, the homebrewers were early supporters of the pioneering craft brewers and remain loyal today. Homebrewers are also looking to push the envelope as well and are typically the ones to spot trends or embrace new styles before the word seeps out to all the professional brewers. So it was a pleasant surprise on that humid July day when the beers that arrived on the table were familiar—American Brown Ale, American Pale Ale, Robust Porter, Classic Rauchbier, Roggenbier, a Weizen/Weissbier. Sure, there two different beers brewed with coffee and an English Mild brewed with molasses but largely the homebrewers—hailing from all around the country—had tried to stick to the classics keeping their recipes as true to style as possible. The winners of the contest will be announced later this year during the Great American Beer Festival in Denver and the beers will be produced as part of a variety pack to be released next spring. The fact that the majority of beers in the final round were classic styles with no additional bells and whistles helps show that the American beer scene is indeed heading back to basics. I’ve seen this on the shelves lately, basic no-frills solid porters and stouts being released by breweries, a few more Oktoberfests (over pumpkin seasonals) coming online for autumn, pale ales with balance between malt and hops, and most insightful of all: lagers. Yes, brewers around the country are making lagers. Once the style shunned in favor of ales, U.S. brewers are now cranking out crisp, flavorful, solid lagers. In speaking with brewers over the last few weeks a few reasons for this change have become clear. The first is that the brewers themselves sometimes prefer a classic style. Second, they worry about established customers getting palate fatigue and just wanting a no-frills ale or lager without a parade of obscure ingredients. And finally, if they want to grow their business and the industry’s overall market share, they need to tap into the roughly 90 percent of beer drinkers that currently drink lager produced by the larger brewing companies. For us at the bar that means getting back to basics and time to reacquaint ourselves with some old beer friends. 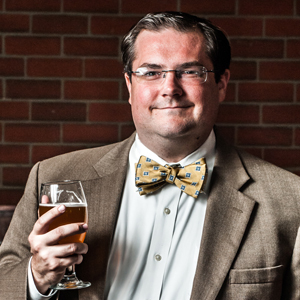 John Holl is the editor of All About Beer Magazine and author of “The American Craft Beer Cookbook.” He lives in Jersey City, NJ. Contact him via Twitter @John_Holl or via e-mail at [email protected]. After almost 30 years in the craft beer business, I welcome a return to the traditional styles, and the move to craft lagers. I also find it interesting that many of the older styles now seem to fall in the “session” catagory, currently defined as under 5% abv.